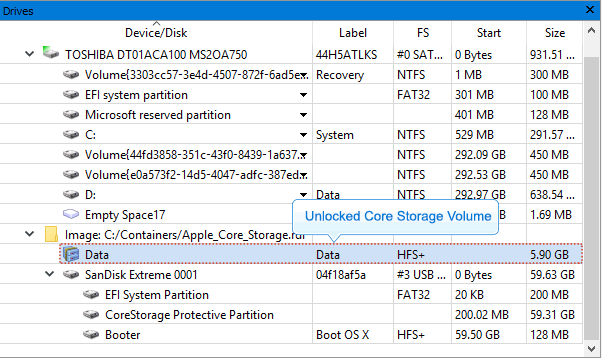 CoreStorage is a logical volume management system. R‑Studio supports all these technologies and can unlock their encrypted volumes (hard drives and images). 1. 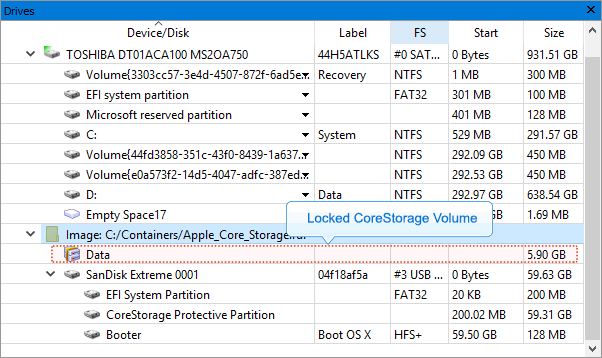 Right-click the encrypted volume and select Unlock encrypted drive on the shortcut menu. If the volume is partially encrypted, R‑Studio can recognize which part is encrypted and which isn't. It will provide a correct access to the unencrypted and encrypted parts of the volume, provided that the correct password is entered.